This Winter, I want you to have the gift of natural skincare. As the temperature drops, our skin needs extra attention. 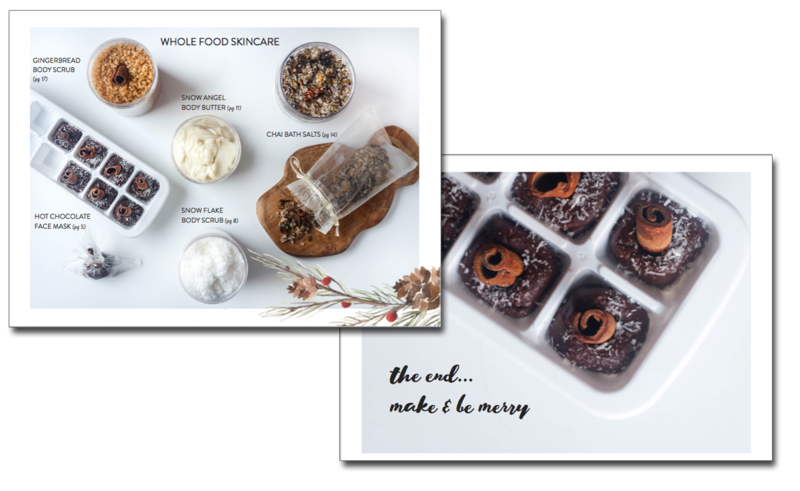 This ebook is packed with FIVE amazing skincare treats, made with gentle and nourishing whole foods that will feed and soothe Winter skin. Make them for yourself, or gift them to friends and loved ones. Designed for giving, the recipes in this ebook alone could save you hundreds of dollars this holiday season. 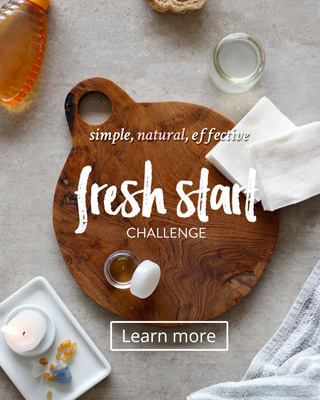 Whether you’ve already begun your natural skincare journey, or ar just getting started, Even this guidebook will walk you step by step through the exact steps you need to create your own safe & effective natural skincare. Get ready to celebrate the season in a happy, healthy & green way! This is the year to give a gift you made yourself – skip the mall – you’re going to make the most fabulous, festive natural skincare products at home! 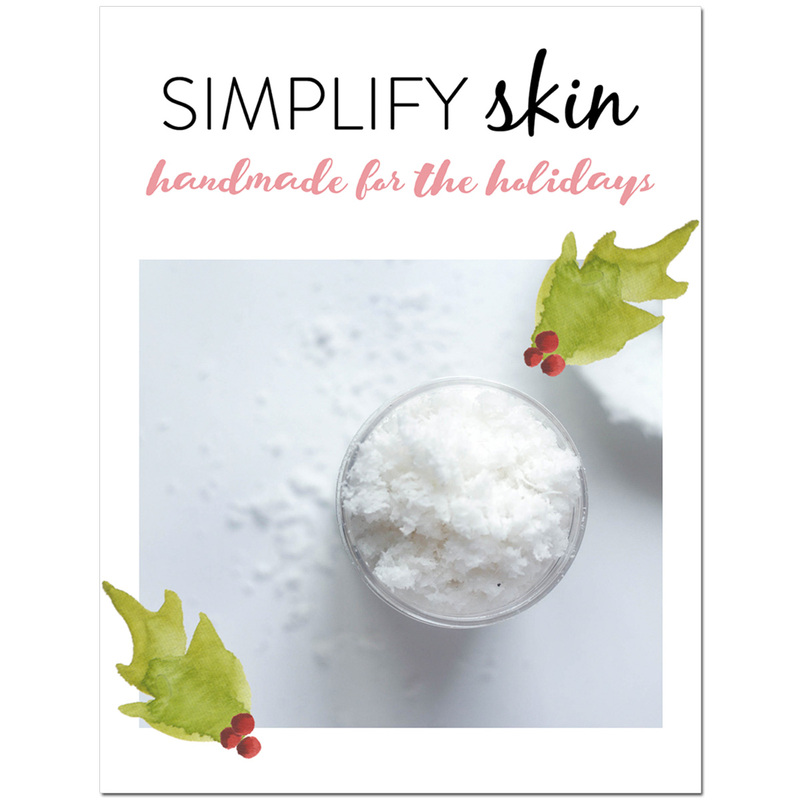 This ebook will show you how to make FIVE amazing skincare treats which you can make for yourself or gift to friends and loved ones. They’re each so unique! I had a lot of fun creating the recipes and wanted to make recipes that will stand up to anything you could buy in a store. ✓ 5 exclusive, easy-to-follow recipes with full-color photos & the exact step-by-step directions to create your own luxury natural skincare at home. Gingerbread Body Scrub – good enough to eat, this scrub boosts circulation and will give your skin a beautiful, healthy glow. Snow Angel Body Butter – this rich, creamy butter will soften and soothe dry skin, and envelop you like a cozy blanket! Chai Bath Salts – traditional chai spices will perk up and stimulate your skin. 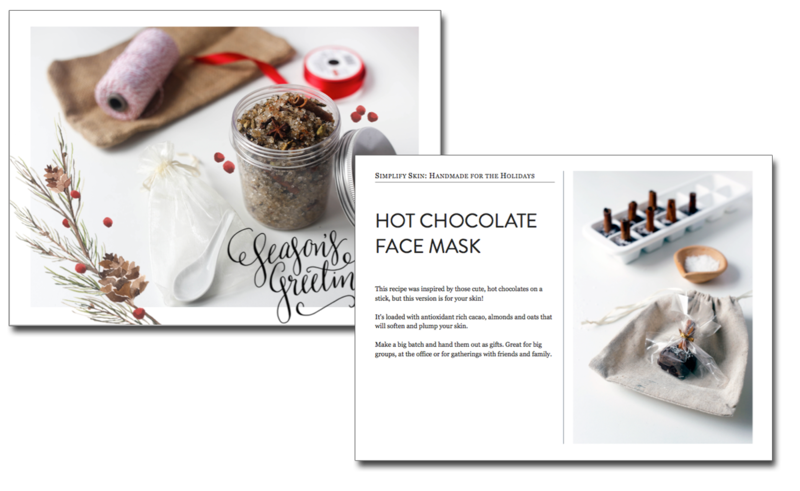 Hot Chocolate Face Mask – loaded with antioxidant rich cacao, this will cleanse, soften and plump your skin. Snow Flake Body Scrub – infused with warm vanilla and cooling peppermint oil, this body scrub transports you to a snowy wonderland. ✓ Printable shopping list with direct links to my favorite ingredients that make creating the perfect skincare routine easy. ✓ As a bonus, when you purchase SIMPLIFY Skin SEASONS: Winter or any of the SEASONS digital bundles, you’ll get access to our private, invite-only community of like-minded makers. Exchange ideas and recipes, share your successes and even meet up in person; I can’t wait for you to meet your fellow SIMPLIFY Skin classmates. So give the gift of natural skincare this year. Your friends (and your wallet) will love you for it! All of the recipes use simple, whole food ingredients. You’ll find it in your kitchen pantry or local supermarket. All of the recipes work! My amazing community of SIMPLIFY Skin students have been making and loving these exact recipes – and I know you’ll love it too. All of the recipes are self-preserving. That means you can make something today, wrap it up and put it under the tree! It will be just as good as the day you made it. So if you’ve been wondering about Christmas gifts, frantically searching on Pinterest for ideas… you can relax now :) I’ve got your back! I know that you want to make your friends and family happy. Any one of these five recipes will do it. Don’t wait till the holidays – you’ll want to dive right in and start making today!